If your in origination, marketing or investor relations, it's easier than you might think to create visual messaging for your financial firm. Firms sometimes ask me what kind of video they should make. So below I've set out a few ideas on what I think is useful commercially and a very brief summary of the structure and message of each. In all cases, remember to show, don't tell! So how do you start mapping out what's best for you? Well-made videos show the message, rather than merely tell it. But further, they reveal what kind of people you are, how your product or service works, helps or differs (helping eats selling for breakfast), and they allow you to invite customer enquiry. Plus they create a magnet for your social media posts. So the case for using them is overwhelming, as many firms are now finding. I've not made all of these formats below by any stretch, but they're how I would approach the job. Prove your product / service quality by asking an independent trusted reviewer to critique it. Provide them with maximum clarity on features and benefits. Structure: entirely in their control, but you suggest: problem > product overview > features & benefits > conclusion. No shooting or editing required (of course you have no control over quality or content). Create customer ambassadors and prove that your firm listens. Structure: let your customers decide. Message: again, your customers control this. NB you can encourage customers to share videos of your products or services by offering a prize or an elevated status - perhaps to this month's editor. Invite them to post to your Facebook page, and then embed their videos on your web pages. No shooting or editing required (also no control over quality or content). Prove that you listen, understand and help. Take a question or problem, and solve it with an explanation or demo. Structure: problem > answer. Shoot in your workplace or studio, with anything from a phonecam to professional kit. Prove that your staff of all levels are up to date (not just senior and sales, but also operations, production and technical people), and publish vivid good news with a first-person perspective. Structure: summary of a blog headline > where employee has seen this practice > what happened > what the outcome was. NB: probably best to film these personally on a phonecam, and good places to do this are while on business trips, leaving client premises, leaving meetings, servicing or installation visits, conferences etc. Shoot in your workplace or studio. Widen your audience reach by making your public presentations, conferences and seminars available and commentable online. Structure: problem > task > actions > outcomes (but you may prefer to use your own presentation structure). Shoot at your workplace or venue, with professional kit. This applies as much for services as products. Show how the product is easy to use/experience and demonstrate the benefits (for ideas, see product demos that generate enquiries). Optionally prove it's better than competitors. Structure: problem > preparation before use > the use > alternative uses > outcomes (if suitable, show before and after). Shoot at your workplace or studio, with phonecam or for better results, professional kit. Build interest around an event, a launch, or a re-targeting, by asking prospective or real customers what they expect from a forthcoming product/service (authentic or tongue-in-cheek feel). Structure: establish location > ask the question eg 'what would you expect from brand X' > interview response snippets > closing question (unanswered) eg 'how will brand X help you?' Shoot at your workplace or studio, with phonecam or for more serious results, professional kit. Encourage current and potential customers and investors to take confidence in you. Best done quarterly. Structure: proposition (could be an industry challenge, a major announcement or a quarterly or annual update > executive interviews (ideally intercut with relevant behind-the-scenes footage) > conclusion from chairperson or CEO. Shoot at your workplace, offices or studio, with professional kit. Show how customers use your product to improve their business / lives. Structure: your customer's particular problem or challenge > the job of the product in solving that / the customer's decision to buy the product or service > how they use/used it (try get a problem in here with its solution to make it real) > outcome. Shoot at your customer's location if possible or your workplace if not, with professional kit. Explain the basic principles behind holiday, sick pay, privacy, expenses etc. Structure: why the policy exists (fairness, budgets, law etc) > one q&a for each part of the policy (possibly an HR person and an employee) > references to written detail. Shoot at your workplace or studio, with professional kit. Share and develop skills with contextual training 'how-to' videos, which are bloggable and which work well on mobiles - for techniques, see continually improving training videos. Lets you start the ball rolling with an official video, and after a year of comments can be updated and republished. Structure: problem / diagnostic > preparation before use (eg tools) > the use > outcomes (if suitable, show before and after) > trouble-shooting. Shoot at your workplace, with professional kit. Increase your audience reach by allowing journalists and video bloggers to use cutaway material shot on your premises. Structure: none - just invidual clips, ideally with discreetly identifiable branding somewhere in shot. Shoot at your workplace, customer locations or studio, with professional kit. Demonstrate ethical and local commitment by packaging footage of your involvement in local events. Ideally fronted by a documentary style presenter. Structure: situation before the event > their big idea > why you're involved > how you collaborated > what they thought of you > event outcome. Shoot at your workplace, customer or other stakeholder locations or studio, with professional kit. Reveal how much skill and thought goes into work behind-the-scenes (for ideas, see how skills portraits help boost enquiries). Structure: environment > aims > challenges > experience > outcomes. Message: this person is an unsung hero, and the company encourages this kind of very personal way of doing things. Shoot at your workplace, customer locations or studio, with professional kit. Show how intelligent and benevolent your top people are, and how the firm is stronger for his/her contribution. Structure: role > personal approach and professinal beliefs > experience > in-post highlights showing results or operations. Shoot at your workplace, office, supplier or customer locations, with professional kit. Attract the right people, with appealing content. Structure: types of work available at your firm > behind-the-scenes look at the workplace > short excerpts from characters in your workplace > describe who'll most likely get placed > how to apply. Shoot at your workplace, with professional kit. Improve press takeup of your news with documentary style material, ideally involving customers. Structure: customer or market with a problem > task taken on by you > actions and difficulties > outcome. Shoot at your workplace, customer, distribution or supplier locations or a studio, with professional kit. 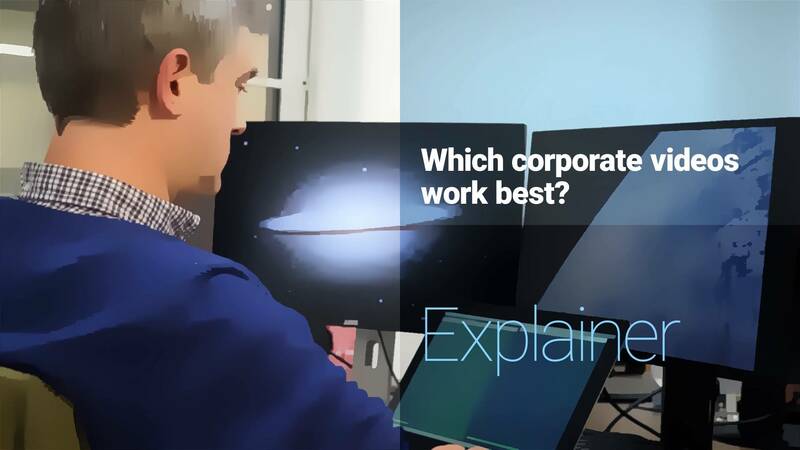 Engage visitors with a story of a working day in the life of an employee. Staff stories in operations could reveal quality and skill; in customer service could reveal flexibility and problem ownership; and in sales could reveal understanding and empathy. Structure: linear sequence of the day. Shoot at your workplace, customer locations, distributors or suppliers and studio, with professional kit. Build excitement by heroing your product/service. Make clear it's now available. Structure: the hole in the market (or simply what customers were asking for) > how the product or service was developed (include at least one problem and how it was solved to make it real) > the reveal of the finished item (if it's a service, footage of delivering the service is a good reveal). Shoot at your workplace, customer locations, distributors, outlets or studio, with professional kit. Increase your reach with Youtube pre-roll, and sponsorship of partners, events and Google video ads. Structure: varies according to message and creative - probably best left to your design or ad agency. Shoot at suitable creative locations or your workplace or studio, with professional kit. Win a wide viral audience with a humour-based spoof advert. Structure: problem (authentic to make the spoof unpredictable) > implications of problem to customer (greatly exagerated - eg you could lose a leg) > their need, overtly stated (authentic) > solution (your product / service shown) > usp (genuine) > extras on top of that (ridiculous eg free air). Shoot at suitable creative locations or your workplace or studio, with professional kit. For the boldest of marketers - requires content so compelling as to spread like a virus. Examples: 'A dramatic surprise in a small square' and 'Will it blend'. Structure: wide open, but make it as dramatic as possible! Shoot at suitable creative locations or your workplace or studio, with professional kit. For me, a great picture is worth a thousand words, and a great video, a thousand pictures. Because videos and short films have the power to change emotion, and that drives buying decisions. 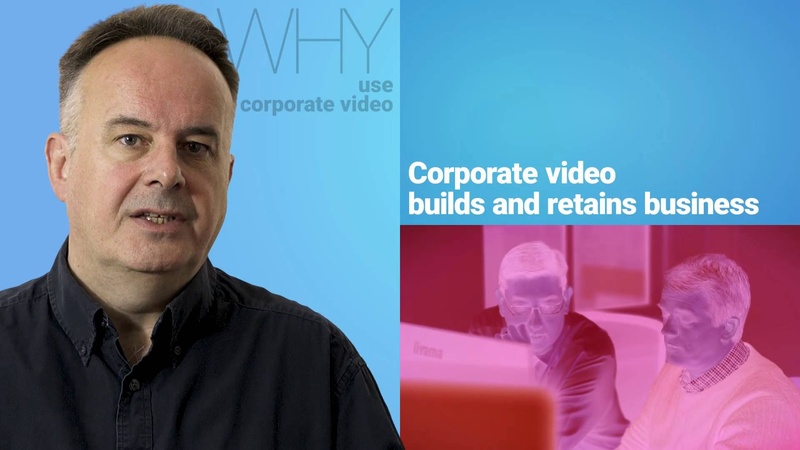 Have you seen too many slick corporate videos to want one, or got a feeling that a good video would tell your story well? Hopefully the list above suggests that it would. I wish you inspiration and good shooting with your next video! If you've seen great examples of the above, do post them below, and I'll update the blog. And the £64,000 question... what stories are your current videos and films telling about your firm? I'd love to hear from you. And if you're attempting any of the above formats, show me how you got on!